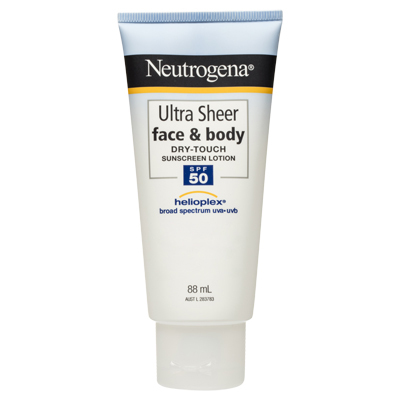 Neutrogena Ultra Sheer Face & Body Lotion SPF50 is a liquid sunscreen that offers the highest broad-spectrum protection. The water-light lotion absorbs instantly for a weightless, non-shiny finish. The formula is non-comedogenic and oil free. This is by far my favourite facial sunscreen I’ve ever used. I’ve used it for about 4 years now and never had an issue. My skin is usually very prone to breakouts from using sunscreen on my skin as they’re often greasy or thick formulas. This formula is very watery and spreads out very nicely without making skin look greasy. It even works well under makeup as a primer if you let it settle for a few minutes before putting foundation on. Let me be honest, I never really expect anything great to come out of a brand that is sold at a supermarket, so I already had rather low expectations. I felt the formula didn't really live up to the 'non-shiny finish' hype and thus, I was still left with a shiny forehead and cheeks, even after applying matte finish foundation AND powder. My eyelids stung and my eyes wept for white a while after applying this product, and I didn't intentionally put it ON my lids, but whilst running it into my skin, obviously it entered the eye area. I have been on a bit of a 50SPF buying spree as of late, trying to find my wonderwall, this product alas, was not my one and only. I would suggest avoiding your eye area as it may cause irritation. People who don't mind a bit of a sheen after they apply their facial products. Used this everyday for two weeks during a recent trip to Bali and loved it. I was skeptical about the non-greasy claims since all sunscreens usually leave my face an oily mess within hours, especially in hot conditions. I was pleasantly surprised with this one. It is very lightweight and dries quickly, I didn't find it was sticky at all and used it for both face and body. I find that normal sunscreens will give me pimples on my back or chest from the oiliness, but this one didn't. I love how it has spf50 so I feel very protected, especially since I use retinol on my face so have to be careful to use sun protection. It also doesn't have a strong sunscreen smell which is a bonus, and the soft squeeze tube is good for travelling as opposed to a lot of hard plastic type bottles which are a little bit more bulky. The only downside to this is that you do need to apply a lot a fair bit to make it spread evenly, but I guess I was also using it on my body when it is a face product, so this probably shouldn't be a negative. I would definitely repurchase. This sunscreen is good for everyday wear. When you do a thin layer, it has no white cast, prevents tanning and sunburn, and sinks into the skin without being greasy. However, because it is recommended that you should use about 2 teaspoons of sunscreen on your face, I usually use a bit more than average. This gives me good coverage, but it can be a bit greasy and drying, and also leaves a subtle white cast on my skin.  This product is certainly very sheer - as soon as I put it on my skin it seemed to just go invisible. For somebody with pale skin this is a miracle, because I hate how all other sunscreens I've tried make my skin even more white. I also bought this because I have very sensitive skin and tend to breakout when I use sunscreen on my face. I don't get any breakouts from this, which is great, however I have noticed that it does leave my skin quite shiny until I wash it off. Another thing is I usually prefer sunscreen that lasts for a long time in the water, more than 2 hours. Overall though, it's a great sunscreen for the face and I will be repurchasing, as it's easy to find and value for money. This is a seriously good sunscreen that really does its job. No matter how much you apply it is very easy to rub in and you cannot see it. It lasts a really long time and even longer with regular reapplications. I have been using it all summer including to a 3-day music festival and many beach trips and have not got burnt once. That is the first time that has ever happened! The only downside for me personally is that I find it does make me have slightly oily skin and will not completely stay all day long. The sunscreen itself is a very liquidy type which melts into the skin leaving no white cast at all. I find it applies easily and a little goes a long way, one bottle could last you a good 3-4 months depending on how much you use. Personally, on my olive skin tone this sunscreen left no white cast and was dry to the touch shortly after application so it works great under makeup as well! My only drawback with this particular sunscreen is that it does cling to a few dry patches on my skin as I am more of a drier skin tone, however, people with oily or combination skin should definitely give this a try if they're in the market for a new sunscreen. it has no distinct sunscreen smell and does not feel greasy at all. It doesn't even feel like I've applied any sunscreen when I use this one. Make sure to reapply every few hours if you can and if your skin is on the drier side, moisturise beforehand to avoid it clinging onto any dry patches. My face is oily and easily get acne if I use unsuitable sunscreen. This product is actually not as bad as others in making my skin oily, but still not a 'safe' product for me to avoid break-out completely. I do like the matte finish, unlike other products that are designed for body and "deliberately sow acne seeds on my face" this one rarely creates break-out. My mom likes this product more than banana-boat face sunscreen because of the fact that it is less oily. And yes, it is suitable for older women who are less likely to develop acne but having oily skin. Judging from the price, I feel woollies home brand face matte sunscreen does the same job with cheaper price. But for completely break-out free I still prefer avene cleanance (not avail in Australia yet, can buy it online or in Singapore) or neostrata- very pricey I know but paid off. I am normally a fan of Neutrogena and while this is a nice enough product it was a bit drying and leaves a tiny bit of a white powder-like finish. I have oily skin and found it a little drying but going out for a walk my dad put some of this sunscreen on and found it more than drying - he said it gave him a burning sensation. Dad has more sensitive skin than me - so I would only recommend this product to oily- combination skin types who aren't sensitive. Otherwise it is still a really nice, lightweight product and is virtually fragrance free. It is best to apply this product after moisturising or for oily skins as the mattifying consistency could feeling dry on drier skins. This is matte, no shine. did leave a little white cast. Not best for dry skins, def suited to oily skins,. I found this is ok if I have a tinted moisturiser over top, or primer and make up is ok too . But if I was to wear it alone around house with nothing else on my face its a bit drying for me. I think my skin liked it better in summer too. I purchased this sunscreen for both the SPF50+ and the fact that it was matte drying. As I tend to get a little bit oily at the end of the day when using primers etc, but needing a separate moisturizer and sunscreen I wasn't sure if this would do the job. It has a slight sunscreen smell, but it disappears very quickly. The product is quite liquid and applies evenly and easily. I didn't find it left a white cast at all, once it dries. I apply a day time moisturizer first, wait about 5 minutes, then apply the sunscreen. Then foundation over the top. It works really well under makeup, it doesn't budge, and I find that my makeup stays in place for longer and I am less oily. I am an office worker so I am not 100% sure about coverage, but I do feel that my skin has improved while I was been using it, so obviously any sun exposure without protection can do damage over time. Removal is easy, it washes off with the rest of my makeup. The only downside is if it gets into your eyes, it stings. A lot. Sometimes it's unavoidable, if I have rubbed my eye in the evening, I do find that the product will really cause some burning. I am also prone to cystic hormonal acne, and after using this for 2 weeks so far, I have not experienced any break outs. If applying moisturizer before, let it sink in before applying sunscreen, and wait until sunscreen has set before using foundation. Those with acne, it doesn't seem to block pores, and those looking for a mattifying sunscreen to use under foundation. I am a very active person and sunscreen is one of my essentials when exercising outside, but i always end up with very oily skin after applying sunscreen, but now i have found my perfect match!! I absolutely love this sunscreen, as it protects my skin really well and it doesn't leave my skin feeling oily or greasy! It is very light and doesn't feel heavy on my skin! I would really like if it had more of a scent, but because it works so well, i can live without it! It also moisturises my skin really well, which was a surprise, but i'll take it! You don'y need a whole lot for it to work it's best! I really do love this product. I love the feel of your skin after application it feels matte and not sticky! It does smell like old school sunscreen but it doesn't bother me at all. I use this before foundation sometimes and yes it will create a bit of shine but thats to be expected - I don't think you can get away with no shine when it comes to sunscreen. I expect to go through this very quickly during summer where I intend to use it everyday. My boyfriend breaks out very easily and this did not break him out which is quite rare for sunscreens. I've been using this sunscreen for about a year now. I've tried other sunscreens for the face and this is the one I keep coming back to. I like a high level of sun protection and this fits the bill! I have oily skin so it's important to me that I don't have to add a product that makes me feel like I'm about to enter an oil wrestling match. This sunscreen is the least greasy feeling one, there is still a small amount of shine to my face after application, but if it's bothering me (and if I have time) I usually wait about 20 mins then blot my face prior to make up application or leaving the house bare faced. Make up goes on well over the top, but can add more shine. I haven't experienced any break outs from this product, which is awesome for a sunscreen! Hands down my favourite sunscreen. Came across it randomly and loved the non-greasy/super absorbent texture. Also love it's easy to apply texture and the longevity of it staying on plus the surprisingly great scent for a sunscreen! I got recommended this product by a friend so a big thank you to her as i absolutely love this product. The product comes in a moulded plastic tube form. It is white in colour with no fragrance and a slight runny consistency. You only need about a small tea spoon full for your entire face. While applying the product seems to form a thin white layer on the skin which goes off after massaging it onto the skin. Forms a perfect matt effect on the skin which is great for people with Oily skin. Apply a tea spoon full and massage well. Let it rest on the skin for about 5 mins before applying any makeup. This hands down is the best face sunscreen I've ever come across. I apply it in the morning after my moisturiser and it blends really easily and my skin soaks it up instantly. The best thing is that it dries to a matte finish that's not shiny or greasy looking. If your looking for a really good sunscreen then I suggest you try this one you will not be disappointed. This product smells better than any other sunscreen I have used in the past which is a plus for me. I love the watery consistency of this product as it doesn't feel sticky after it absorbs into my face and it dries matte which I really love because I have really oily t-zone and didn't make me breakout my acne-prone skin. I also love the fact that it's 50 SPF which is perfect for the hot Australian sun. It also helped control my sebum production and I include this into my skincare routine. This is a must buy sunscreen and I will definitely be repurchasing this again! Squeeze the product onto the hand first and then dab it using your fingers. Go out and buy one now! No matter what time of year it is, this is a keeper! My skin is very prone to getting burned, even in winter. With this sunscreen, it really does live up to its claims of being a matte sunscreen as no one has ever been able to tell I had sunscreen on. It's relatively quick to dry, so it slots into my rushed 1-minute wash-and-go morning routine quite nicely. The consistency is really thin, as opposed to conventional sunscreens that feel oily, thick and creamy. A small squeeze of the product covers the entire face and neck. In summer, I apply two layers for good measure. It definitely does not feel heavy on your face, and this is pretty great given that in some instances, I'll have sweat dripping down my face mixed with heavy sunscreen - not the best scenario especially at school. It has no unpleasant scents and has proven to prevent sunburns. In summary, its easy to apply, feels good during the day and does its job as a sunscreen. It may be a bit pricey, but one tube can last me a whole year! I love this sunscreen! Goes on smoothly and does not leave your skin feeling greasy - feels lovely and light on my skin. Soaks in for a matte finish, and works well even under makeup. I use it in addition to my normal face cream, and feel that it protects me well even when I'm walking to and from work.